Mayor of Merton, Councillor David Chung, joined the Majlis Ansaralluh United Kingdom to celebrate Eid-ul-Fitar in Morden Library last week. The purpose of the Eid celebration is to bring together people from all different backgrounds to promote mutual understanding and community cohesion. Mayor of Merton, Councillor David Chung alongside the Mayoress and the Majlis Ansaralluh community. The Eid celebration was attended by over 200 visitors, all of whom enjoyed a large host of Asian foods including Samosa’s, Pakoras and Chicken Biryanis. Visitors then enjoyed their food in the company of the community, who gathered together and shared stories as well as providing further information for those looking to learn more about Eid. A talented Henna artist was also offering stunning Henna tattoos on the day for children and adults alike. 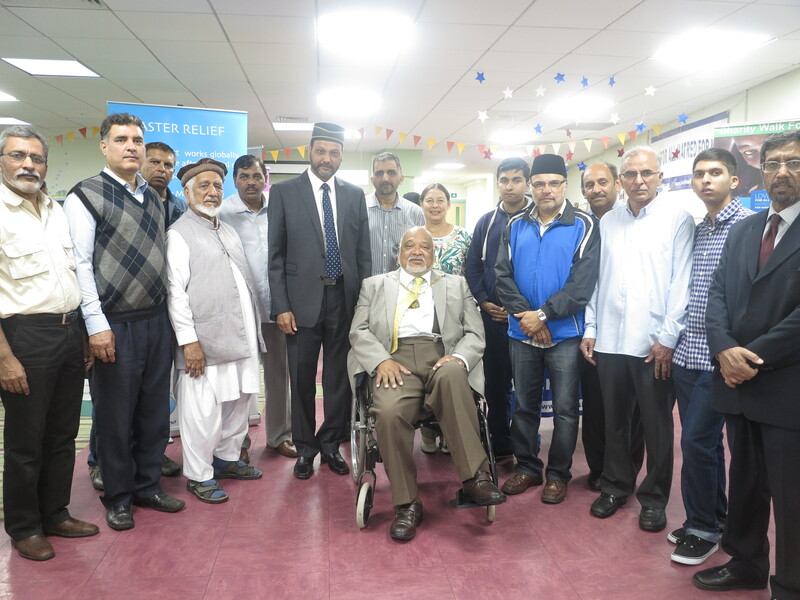 Majlis Ansarullah, an auxiliary organisation of Ahmadiyya Muslim Community, has been at the forefront in organising charity events here in the UK. During the past 27 years, they have raised over £1 million which has been distributed to well over 115 UK based charities including Age UK; British Heart Foundation; Great Ormond Street Hospital; Action for Children; Save the Children.